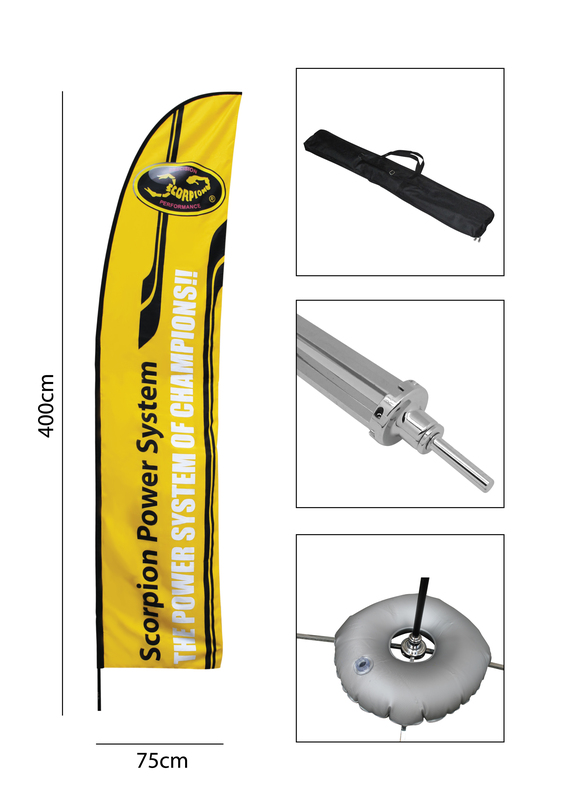 The Scorpion Beach Flag is come with an all-in-one package and easy to install. The dimension of Scorpion Beach Flag is around 75cm width x 400cm height, printed with our Scorpion logo. Heavy enough to last, but light enough to fly in light wind.